Literacy Links is created by the Maine Department of Education to support the continuing development of literacy instruction in Maine. Blogs are written by Morgan Dunton, ELA Specialist and Lee Anne Larsen, Literacy Specialist and posted on even number months and when critical topics need to be addressed. 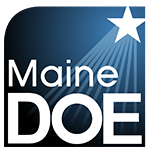 Visit the English Language Arts homepage at Maine DOE or read Literacy for ME: Maine’s Comprehensive State Literacy Plan to learn more about literacy in Maine.